For a long time, prose stories were written with the understanding that they’d always be read off a page. That’s no longer the case. Audiobooks were once a niche market, but with the prevalence of smartphones and mp3 players, audio has exploded. These days, nearly every major release has an audiobook, and many people* consume their stories primarily through a pair of headphones. Fortunately, the rules of writing for audio are nearly identical to the rules of writing for print; you still want evocative wordcraft, deep characters, and a compelling plot. Even so, not everything is the same. Some elements are benign in print but malignant in audio. If you want your story to shine in the audio market, break these five habits. You’ve probably noticed that many books have some form of text present in the manuscript that isn’t part of the story. Most often, this manifests at the beginning of each chapter. It’s usually a chapter title or some kind of opening quote. The quote might be from a real world poem or an in-universe history text. At best, this non-story text sets the mood, but more often than not, it doesn’t accomplish much of anything. I’ve lost count of the manuscripts I’ve edited that start each chapter with a passage from the author’s favorite poet, with no regard to what’s happening in the story. Chapter titles can have the same problem. 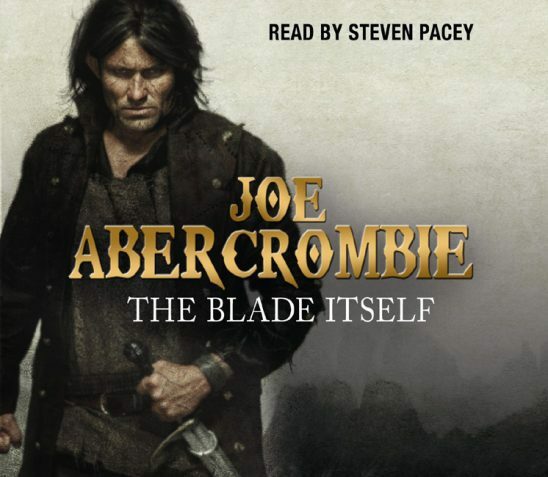 For instance, the first chapter of Joe Abercrombie’s The Blade Itself is titled “The End,” but it’s not the end of anything. Even when the non-story text does match up with the story’s content, it’s telling rather than showing. If the story is well written, it should be able to evoke its own mood, without needing a fancy quote. This non-story text is usually harmless in a written story. It’s always clear where the non-story text ends and the story text begins; the reader can just skip over it. In an audio story, skipping is much harder. If a listener tries, they’re almost certain to miss parts of the story proper. So audiences have no choice but to listen to all of the non-story text. If there’s anything wrong with it, if it’s even a little pretentious or dry, that effect will magnify in the listener’s mind because they must listen to every word. By the end of a book, the listener will be ready to throttle any writer who thinks it’s clever to put a T.S. Eliot stanza in front of every chapter. In most cases, non-story text can be removed without any harm to the print story and with significant benefit to the audio version. If you decide to leave in some non-story text, it must be either absolutely essential or entertaining in its own right. Really, it should be both. In English, most writing is done by putting letters together into words. This isn’t news to anyone; you’re reading the results right now. But in speculative fiction, especially scifi, authors sometimes arrange letters and numbers together in long strings that don’t form any words at all. A new planet might be called XA.4392A, or a new model of robot might be called the ZQ56A Series. When characters are arranged like that, it produces something that’s tedious to say out loud. Since the characters don’t form any words, your only option is to speak each character. That’s fine for written stories, because the eye can simply identify a character string and move on without needing to pronounce it, but audio narrators don’t have that option. In an audio book, every character string must be spoken aloud. It’s time-consuming and annoying since it yanks the audience out of the story and forces them to listen to what sounds like a nonsense collection of letters and numbers. This is bad enough when it’s just the designation of a vehicle or spaceship, but it can get worse. I’ve listened to books where the characters were comparing sections of code for discrepancies, and the author wrote out every line. A reader could scan each line looking for the one letter out of place, but in audio this is practically impossible. By the time the narrator got to line three, I’d forgotten what line one was. If you want your story to work in audio, keep any character strings as short as possible. Movies and TV are a good guide here. 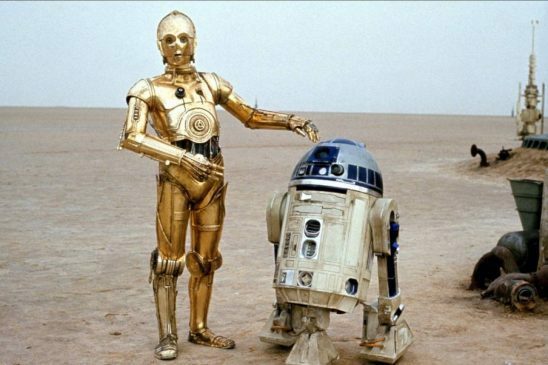 C-3PO and R2-D2 are both character strings that are designed to be easy to say, and if you stick to that model you should be fine. Anything longer must be absolutely essential to the story. 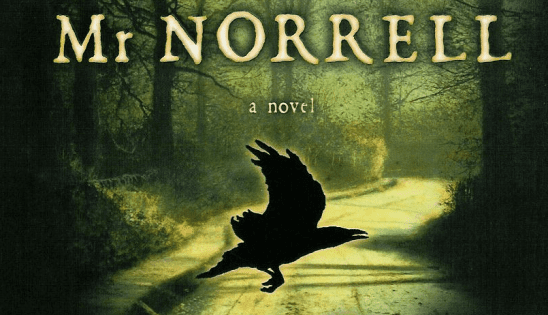 Making a story darker narrows the audience, and nowhere is that more obvious than with gore. Readers who can handle the grimmest commentary on human nature may balk at realistic descriptions of injury and illness. It’s one thing to read about how humans will inevitably lie to and cheat each other; it’s another to read a detailed account of what high explosives do to a person. But at least in the written word, readers have the option to skim gory sections in stories they otherwise enjoy. 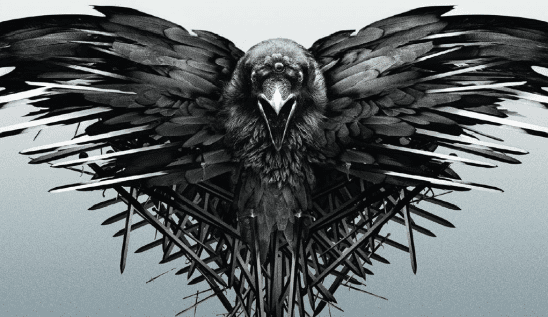 In Feast for Crows, the fight between Brienne and Biter gets… shall we say, more intense* than some readers might like, but it’s relatively easy to get past that part and back to the epic fantasy. If you’re listening in audio, that’s not an option. Even fast-forwarding, you have to listen to every single word as characters brutalize each other. Skipping forward has the same problem here as it does for non-story text: you’re almost certain to miss something other than what you intended. If a listener doesn’t enjoy gore, hitting a section of blood and guts can ruin a story. They might not ever reach the end because to get there, they need to crawl over a field of description that sends bile into their throat. This doesn’t mean you should immediately strip all gore from all your stories. Sometimes gore is absolutely necessary. The fight between Brienne and Biter wouldn’t have been the same without all the gnashing of teeth, and A Song of Ice and Fire specifically markets itself on the brutality of combat. But you should go over the gore in your story with a critical eye. Ask yourself if a section is worth losing listeners over. If it’s not, time to get out the scissors. Dialogue attribution is tough, especially in books with lots of characters. The goal is to attribute dialogue as smoothly as possible, without calling attention to the act. This is why “said” is preferred over fancier options like “exclaimed” or “bellowed.” The humble “said” can fade into the background, nearly invisible to readers. Listeners have a different experience. A listener hears every dialogue tag, and if there are a lot of them, it gets annoying fast. If you repeat a word often enough, it starts to lose meaning and become a nonsense collection of sounds. You can probably make this happen for yourself: just try repeating a word over and over. When a book uses “said” at the end of every paragraph, the listener can’t ignore it. For that matter, this is a problem in print stories too, but it’s far more pronounced in audio. It’s hard to concentrate on the dialogue when “said” keeps intruding. Even professional authors have trouble with this. 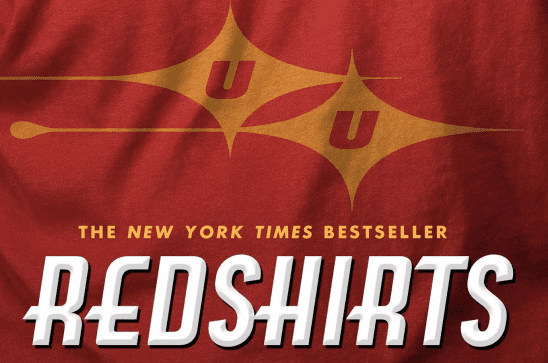 John Scalzi’s Redshirts uses “said” so often that the audiobook is something of a chore. It’s a scifi parody, so the characters are always commenting on the absurdity of what’s happening, but that’s hard to appreciate when the book keeps drilling “said” into your brain. Fortunately, there are other ways to attribute dialogue. If a character performs some minor action, it’s clear that the following dialogue is attributed to them. You can also work to make your character’s dialogue sound different, so it’ll be clear who’s speaking even without a tag. Scalzi himself took some of these lessons to heart, and since Redshirts, his books have improved considerably. No matter the medium, storytellers should be careful when inventing new words. Even if your story is set in the far future or an alternate fantasy world, the characters should speak English* as much as possible. Trying to absorb a bunch of new definitions while also following the story gets confusing fast. Audio fiction is particularly susceptible to fake words because listeners have only a word’s pronunciation to go on. At least in written stories, a reader can try to remember what a word looks like on the page. If a reader in a written story forgets a word, they can stop and page through what they’ve read to find the answer. In audio, that’s too difficult to be practical. 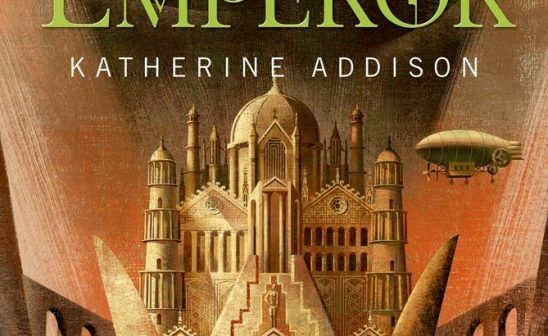 Consider The Goblin Emperor, a novel that never met a fake word it didn’t like. Mages are called “maza.” The imperial guard are called “nohecharei.” The list goes on, with countless mundane words substituted by fake fantasy words. There’s nothing special about the mages or imperial guards in this setting, and calling them by an unfamiliar name doesn’t make them more interesting. In contrast, The Goblin Emperor makes a powerful impression by using “serenity” as the imperial honorific, rather than a more traditional “majesty” or “highness.” That word choice says a lot about how the emperor is viewed, and it doesn’t confuse the audience at all. This rule applies to names as well. Even though a proper name can theoretically be anything, it’s easy to overwhelm a listener with too many long, intricate names. This is even worse if the names sound alike. The Goblin Emperor is plagued by this problem, with names like “Csevet” and “Setheris” often used close together. Those names don’t look the same on paper, but they’re both pronounced with a “seh” sound, making it easy to confuse them. Worse, many of the names also sound similar to other fake words, until it’s hard to tell if “Athmaza” is a name or a job description. In case it’s been awhile since your last college essay, footnotes are notes that mark some side point in a work, like this one.1 Even in print stories, footnotes should be used with extreme caution. They disrupt the story, asking the reader to stop what they’re doing and look at something else. At best, they can add some humor, but they should never contain necessary information. In audio stories, footnotes are far worse. They present an impossible choice. If the narrator records a footnote in with the rest of the text, it badly disrupts the story. This is a major problem when listening to Jonathan Strange and Mr. Norrell. You’ll be enjoying the story, when suddenly the narrator will launch into a footnote about a historical magician, and by the time the footnote ends you’re not sure what’s happening. On the other hand, if the narrator tries to put the footnote at the end of an arbitrary page, the listener can end up even more confused. Unlike with a print story, listeners can’t flick their eyes up the page to see where the footnote is situated. They’ll be taken completely off guard by a footnote that relates to something from five or six paragraphs ago. Unfortunately, there’s no solution that lets you keep your footnotes, at least not with current technology. If you want your story to work well in audio, even small footnotes will have to go. That’s probably a good thing, since even in print stories, footnotes don’t usually carry their weight. Writing for audio presents a few new restrictions that storytellers must learn to deal with, but it’s also a tremendous opportunity. 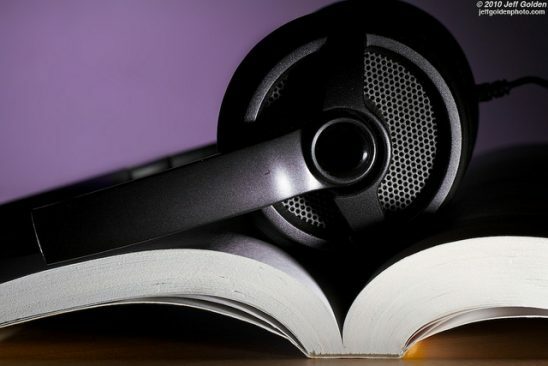 While the number of people reading books has stagnated, audio technology means people can consume stories while doing chores, commuting, exercising, and countless other activities. More demand means more work for writers, so learning to write for audio is valuable indeed. Or whatever language you’re writing in. Very informative … I never really thought much about the difference between writing a book and optimizing the written story for an audiobook (well, my own work is far from that, but one day … who knows?). I strongly disagree with point 3. Admittedly some people are repelled by violence but other people can enjoy it (me under the right circumstances). Also if you worry too much trying to write a story for everyone you often end up with stories for no one. Also I don’t think footnotes make audio stories worse unless they are very long. From my experiences having listened to dozens of audiobooks the most important factor for a good audiobook is the voice actor. My favourite audiobook is: it left hand of god, for the tone and atmosphere that the voice actor adds. It’s on audible and you can listen to the first five minutes to get a sense of what a good audio adaptation can do right. I agree with the voice actor … a good voice and a very professional actor will make an audiobook even more enjoyable. I disagree with you on point 3, though. More than just a few people are repelled by violence (though I personally don’t mind it much). This isn’t about having no violence at all in your book, because some stories will absolutely demand some violence (and people who listen to such stories will know that), it’s about curbing the excess, like minute, detailed descriptions of gory details in a scene. Footnotes do always pull me a bit out of the story. In a book, I can decide to just ignore them, in an audiobook, I can’t. Again, as with the violence, a few of them don’t matter much and won’t do damage, but a lot can turn the listener off the book in question. I only really know one person who can’t watch person who doesn’t like watching violence, so from my experience it seems like only a small minority of people are actually disengaged by it and I personally think if you include gore/violence you make it as traumatic as possible (I hate the fights in marvel movies for how they make every character look like they’re made from rubber). Ultimately though how much gore you use is a trade off and you have to accept that you can’t make everyone happy. Words on the page have a different effect than the spoken word (or visual depictions of violence) for persons suffering from PTSD. A written novel dealing with the consequences the triggering event can be cathartic. However, many of us find that it is necessary to skip over the actual depiction of the event. However, even for those who can tolerate the written description, an auditory experience of the same event will often trigger the worst effects of the PTSD. Much of this has to do with how the human brain is wired. The part of the brain that that processes words on the page is different from those that process images and auditory input, and are less directly connected to the parts the process emotion and memory. Even if the cause is not an underlying trauma, many people will find the emotional response to blood and gore in an auditory version overwhelming, while the same is not true for the written description, due to the different ways sound and writing are processed. Given current technology, some re-chaptering of novels might be in order on audio versions versus print versions, so that these violent scenes are set off in discrete sections, and hitting next, brings you to then end of the scene, rather than the annoying fast-forward-rewind cycle. Deana, this is such an interesting and useful comment. Thank you! I’ll definitely be keeping this in mind as I work on my podcast. You know what was extremely annoying? Listening to Wil Wheaton narrate the whole damn scoreboard — numbers an all! — in Ready Player One. We get it is important, but it draggggggssss. Charts period do not work in audio. I have to admit, I got the audiobook recording of The Goblin Emperor (after reading the book in text) *expressly* to hear all those incredible words actually pronounced. The narrator did a magnificent job (also with character dialog, including different voices and accents); the book is a delight to hear. But perhaps I’m in a minority — I thought the rich and varied language and all the odd words were an asset to the story, making the very alien setting come to life. I agree completely with this list. My pet peeves are listening to audiobooks with lots of “saids” and reading out of things that were meant to be diagrams (lines of code, DNA strands, etc). I’m honestly not sure how much blame lies with the author and how much lies with the people producing the audiobook. Another annoying aspect is the audiobook “actors” who inject all the enthusiasm of a later career Harrison Ford into their reading. Nothing kills a story more than a flat reading. This article mentions excessive, repetitive dialogue tags, but it doesn’t mention the problem of too few dialogue tags (something I’ve noticed elsewhere on Mythcreants). This problem can happen in text, where I have have been left reading a section over several times, trying to figure out which character said that important line. In an audio format, this becomes very dependent on the skill of the narrator. With narrators with moderate or skill, this problem can become even more pronounced. For example, in text when just two people are talking, writers will frequently leave out dialogue tags (and other indicators of who is talking). This works in text because the visual paragraph breaks make it easy to know when each person is talking. In audio, however, without this visual cue, it can be a much bigger problem to keep track of who is saying what (distinct character voices by the narrator help a bunch). Also, using a line of action followed by a line of dialogue works best in a visual forum with paragraph breaks. In an audio format paragraph breaks are more subtle and it can be harder to know when the dialogue is paired with an action. This means more care needs to go into this construction, with the action that goes with the dialogue implying that a person is about to say something (for example, a facial expression displaying an emotional reaction or an interaction with the person they are speaking with such as turning toward them). This is something I particularly noticed for myself, as all of my current fairy tales are written to read aloud on my podcast (Writing Alchemy). I am not the best at character voices, so I have to be really careful that the dialogue is clear without fully distinct voices. Because of this, reading them aloud is an important part of my editing process to make sure the words flow and are clear in an audio format (also cool because it brings them closer to the oral roots of fairy tales). The need for this was clearest the time that I read a story on my podcast that I had written solely to be a text story, I ran into trouble reading some of the dialogue because the dialogue markers were more visual in nature and were harder to pull off in an audio format. That’s a good point, Fay. Too few dialogue tags can also be a problem. I haven’t run into it yet, but I’m sure I will as I listen to more books. I suspect that you haven’t run into it yet because you primarily listen to audio books and you have had mostly skilled narrators. I’ve definitely run into in print multiple times and in print it is way more annoying than too many tags. It’s super frustrating because a character is being developed but as the reader I can’t tell which person to attribute that development too. I’m regularly running into it when preparing my own stuff for publication, too. When you write a dialogue, you know who is talking when, but especially when you have more than two people talking, you really need to make sure the reader knows who is talking at any given moment. Very true, I noticed this when we started producing audio narration. It’s not just who’s speaking that’s tricky in audio, but all sorts of other transitions that are signaled visually – transitions between dialogue and regular narration, scene breaks, paragraphs breaks… we’re working on improving in that area. A really good point! Section breaks are terrible in audio. I’ve noticed these points as part of reading out my work at one of my writer’s groups. Reading a piece aloud really highlights how some parts flow into one another and result in unclear “audio” versions of the fairly clear text. One of our poets often talks about this point as well. They’ll use a certain layout style that influences the poem, but it won’t come across in the reading. Poetry is a really interesting one with this because there are verbal things (rhythm and timing) in how poems are read that are hard to capture in the text, but then there are things in the text layout that are hard to capture verbally. For myself, I have to say that I love the way that reading a story aloud is such a good way to check for transitions that aren’t quite working (as well as a lot of other things like effective dialogue tags). I’d keep doing it even if I wasn’t recording my work as audio stories. Doing that, however, does mean that my style is actually changing to a more fairy tale like style that does not include things like scene breaks (I do have chapters). Right now I’m writing fairy tales so this works great, but I’m curious how it is going to play out when I move on to other projects that are more standard fantasy. Another path to solve the character string issue, especially when it’s something like a ship/car/robot/whatever model/ID number is to play with it for a bit until you find a natural way someone would say it or a piece of it. So, for the “ZQ56A series robot” you might have people calling it a “five-six”. This can, of course, also feed into letting you show things by contrasting usage. Compare the guy at the registration desk who simply asks if it’s a five-six with the one that insists on the full designation being spelled out, you now know which of the two is the hard-nosed by the book type. Or instead of just reading a story you’ve already written, you could turn it into an audio drama like one of the old radio shows….